Practice math skills with real-world applications. 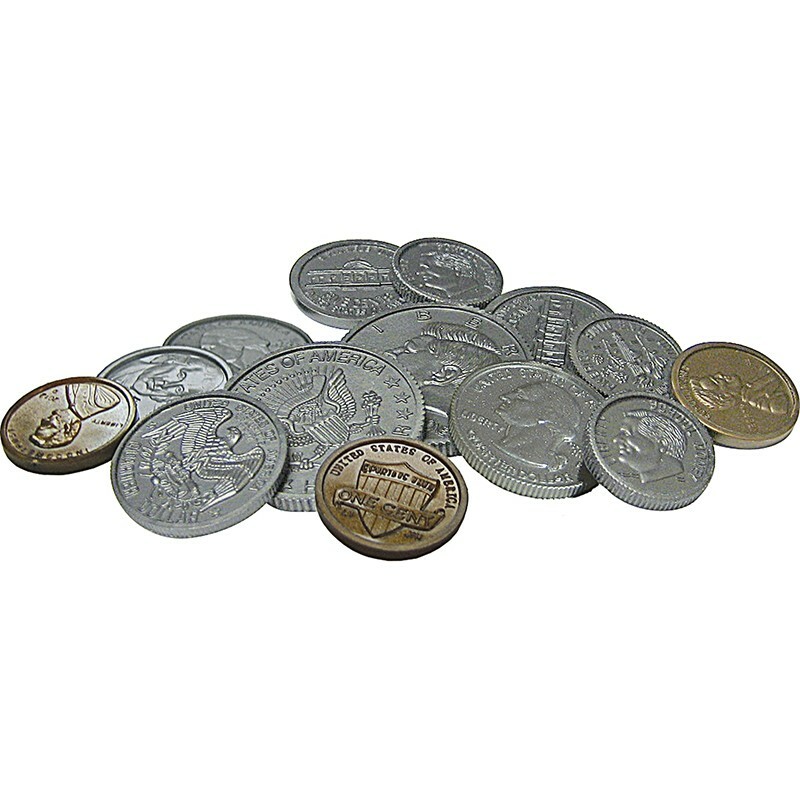 Includes 110 plastic coins: 30 pennies, 25 nickels, 25 dimes, 25 quarters, and 5 fifty-cent pieces. Pieces range from 3/4" to 1 1/4" in diameter. Comes in a resealable storage bag. Teaching tips are included.